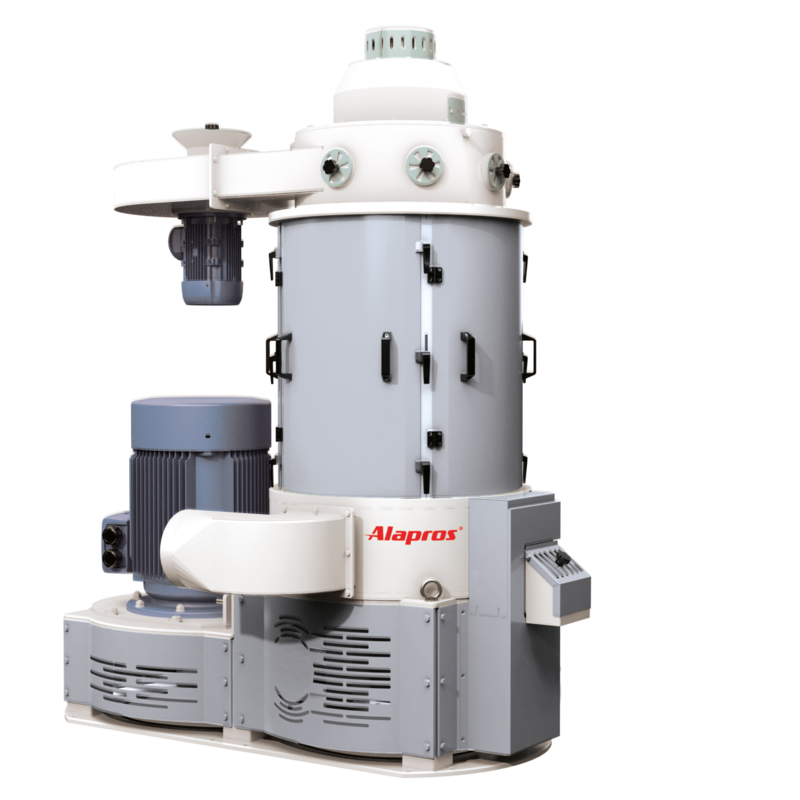 The debranning machine is a high capacity machine designed to remove the outer bran layer from cereals such as wheat, barley and rye by abrasion. The machine is exceptionally hard wearing and is designed for trouble free 24 hour production. Operating Principle: the product arrives into the machine by an adjustment valve. The product passes through the vertical abrasive stones, resistance bars and screen. An exhaust connection on the machine pulls removed bran and dust through the screens and onwards to be collected in a cyclone or dust collector. The degree of milling is controlled by a weighted outlet gate and can be adjusted in seconds.